How do you miss the Pally wings in every picture. On all of us. Greetings, friends! 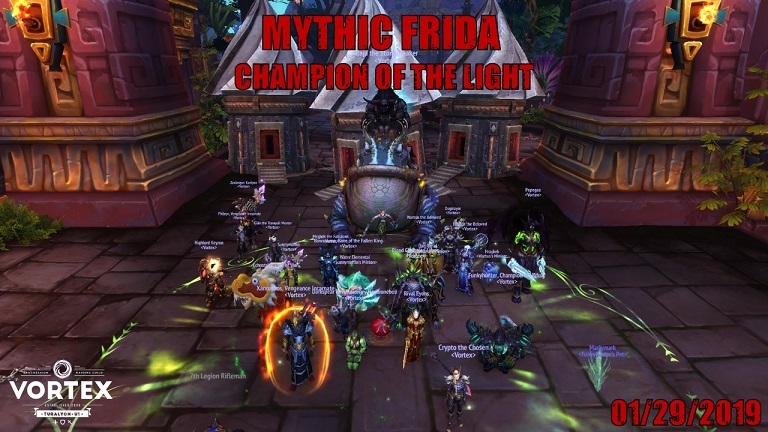 With the launch Battle of Dazar'alor and the opening of Mythic, Vortex decided to take a break from our push through the Heroic version of the instance to give the first boss (Champion Frida) a try. This resulted in a quick 2-shot kill, and because so many top guilds are protecting their logs, the perception that we're also on the hunt for world firsts. All in all a very fun encounter. Good work everyone!